#RRBC – find out what it means to me! Hmm okay – so the title of this post is meant to be read along to the tune of R.E.S.P.E.C.T but I’m not sure that worked too well 🙂 Made me chuckle at least …. Now I’ve mentioned RRBC a few times on this ol’ blog of mine – but in case you haven’t seen those posts (why haven’t you seen those posts.. where have you been?) RRBC stands for Rave Reviews Book Club and it’s… well it’s a book club – I think you probably worked that out yourself didn’t you? This, however, is not your normal run of the mill “let’s all read a book” type of book club… in fact just calling it a book club is somewhat of a disservice to everything else that goes along with it. What RRBC actually is is an amazing support structure by, for and with authors and readers. 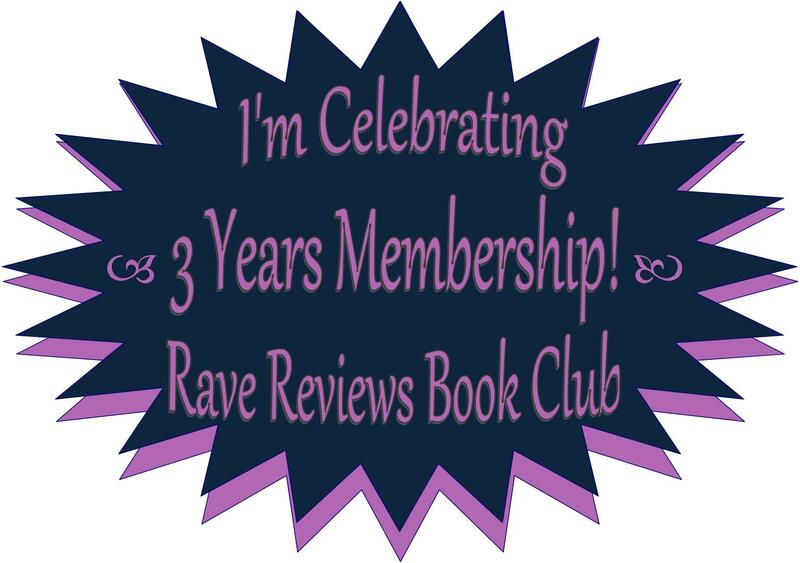 I joined this club back in September of 2015 – I had self published my first book “Assaie’s Gift” the previous February and hadn’t really known where to go from there. I had invested in a couple of places that promised the earth (you know the sort, “we will tweet your book to our 20 million followers”) and had zero results when I happened to notice a re-occurance of the RRBC hashtag and decided to check it out. Within a few months I had been awarded a “Push Tuesday” slot – which is basically a day when the whole club in encouraged to “push” the work of a selected member. Then, last month, I was honoured with one of the three Book of the Month slots for my second release “Spirit of the Book”. Being one of the BoMs has a few perks – firstly your book is listed for the month clearly on the websites sidebar and in the BoM page, then of course members are encouraged to read and review your work, there is also a monthly online chat where the authors get a chance to talk about, and answer questions about, their book. Now I’m not going to say that being one of the BoMs instantly propelled my book to best seller status – that would have been nice but these things take time 😉 But I went from zero reviews on Amazon.com to 13 and from 1 review on Amazon.co.uk to 4. Not all of these were glowing 5* reviews, as nice as that would be the truth is it wouldn’t really be all then beneficial. What I did get – and what the club stands for – are some well reasoned and honest reviews, both praising what was enjoyed but also pointing out my flaws. It was a good encouragement to get positive feedback on the story I wrote, I was pleased that the tale I wanted to tell was well received. It wasn’t great to be told there were too many typos/grammar errors in my book – I think it really is almost impossible to self-edit your own work, you just see the words you meant in your head – but it has encouraged me to invest in a proper edit through of the book, via another wonderful RRBC member who you can find at her website should you need such services. Once Spirit is edited through I plan to do a “re-launch” of it, and I am in no doubt that the awesome members of RRBC will be behind me all the way helping me get the word out there of a new shiny version of my book. So, if you’ve written yourself a book and don’t know where to go next then come and join us at RRBC… or if you are just looking for a new and exciting author then just check out our catalogue. Well… what are you waiting for? Don’t forget to tell them I sent you! Blurb: Poetry for the soul. The Heart’s Journey Home is a collection of 23 poems that capture the essence of the fragility and the resiliency of our hearts – the brilliant beauty of life’s journey. We all love/loved deeply and most likely have been on both sides of goodbye. We know the immobilizing force of grief; we experienced hardships that have brought tears, revelations, and self-discoveries of strength unknown. These trials could easily dishearten us, but instead we choose to be more loving, compassionate, and kind. That is worth celebrating. The Heart’s Journey Home is a celebration of our heart’s journey through life’s majestic beauty. The collection includes 23 poems titled: Reckless Words, Borrowed Angel, Nobody’s Fool, Silence of the Heart, Love’s Illusion, Fallen Angel, Let’s Dance, Where Does the Love Go, Young Love, Small Town Girl, Winter’s Gift, Destined to Fly, Eternal Love, The War Within, To my Sister on our 40th Birthday, Goodbye without Warning, Old Oak Tree, Names in the Sand, Can’t Let Go, Memories Linger, Caged Bird Sings, Surrender, and Heart’s Journey Home. My Thoughts: I think poetry is a difficult thing to review – especially if, like me, you don’t have much of a relationship with it. Unlike a novel where you can easily say if you enjoyed the story being told, poetry can be more intimate and personal. In the end I suppose all you can really comment on is if you enjoyed the poems or not. The Heart’s Journey Home certainly feels very personal, you can tell the author has bared her heart and soul and the truth behind her words certainly shines through. For me a few of the poems seemed a little repetitive, as if I had read them already, but I guess that was because they were based on the same theme. Several of them stood out above the crowd though and three which really shone through for me were Borrowed Angel, Old Oak Tree and the title poem Heart’s Journey Home. Hello to you once more. Book Blurb: When Karen Ingalls was diagnosed with Stage IIC ovarian cancer, she realized how little she knew about what is called “the silent killer.” As Ingalls began to educate herself she felt overwhelmed by the prevalent negativity of cancer. Lost in the information about drugs, side effects, and statistics, she redirected her energy to focus on the equally overwhelming blessings of life, learning to rejoice in each day and find peace in spirituality. In this memoir, Karen is a calming presence and positive companion, offering a refreshing perspective of hope with the knowledge that “the beauty of the soul, the real me and the real you, outshines the effects of cancer, chemotherapy, and radian. It is a story of survival and reminds readers that disease is not an absolute, but a challenge to recover. My Thoughts: This might not be the most in depth account of a journey from cancer patient to cancer survivor but you do get a true sense of what Karen, and those around her, had to deal with from the moment of diagnosis. Simply written and honest this book is not littered with too many medical terms, but rather concentrates on the human aspect of the situation. You get a true sense of what Karen felt during the different stages of her treatment and there were a few times that a tear was brought to my eye. What comes through more than anything though is the overwhelming love and support Karen received from those around her, most especially her husband who sounds like a treasure of the rarest form. I imagine this book could be of comfort and help to anyone any who find themselves with the same, or similar, diagnosis – and the list of helpful contacts at the end is an added bonus. Ultimately Karen lets us know that the two most important things to fight an illness like cancer (after the medical help) are your own strength and belief you can beat it, and the support and love of those around you.